The elite Densus 88 force has enjoyed success in targeting terrorist cells, but at what cost? Opacity, lack of accountability, and extra-judicial killings are not criticisms reserved solely for U.S. counterterrorism policies. The Indonesian government faces similar grievances, domestically and internationally, in its own counterterrorism campaign. With the ongoing pivot to Asia, the United States is looking to Indonesia, already a regional economic powerhouse, as a like-minded democratic partner. Encouragingly, Indonesia’s counterterrorism police, troubled by a history of human rights abuses, have begun—albeit haltingly—to admit wrongdoing in select cases. Washington should applaud Jakarta’s move toward accountability, emphasizing that a respect for human rights will not only further Indonesia’s counterterror operations but strengthen its nascent partnership with the United States. Last week, Densus 88, Indonesia’s elite counterterrorism police force, lauded for its widespread success yet criticized for human rights abuses, released two suspected terrorists due to lack of evidence. Emerging from police captivity with bruised wrists, the two men were placed in the custody of a leader from Indonesia’s second-largest Muslim organization, Muhammadiyah. The handover came on the heels of protests from the human rights group Indonesian Police Watch (IPW) and an investigation from Muhammadiyah, who still demand an explanation from police. Although the unit enjoys strong Indonesian public opinion, the controversial Densus 88 is plagued by frequent protests and rebukes. While shrugging off criticism seems to be Densus 88 standard operating procedure, the recent incident showed a significant improvement in the organization’s accountability to the Indonesian public. 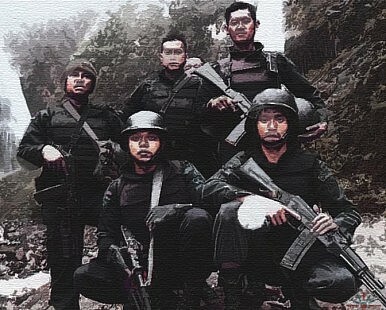 Formed with financial and logistical support from the United States and Australia in the wake of the 2002 Bali bombings, the 400-strong Densus 88, also known as Special Detachment 88, has enjoyed categorical success in busting up jihadi terrorist cells in Central Java. Indeed, the unit’s operations have merited due praise from some Western media outlets and even a nod from the Obama administration. However, the outfit’s shoot-first record and allegations of torture have drawn the ire of Indonesian Muslim organizations and international watchdogs alike. Earlier this year, a video of masked Densus 88 officers harshly interrogating and continually striking several wounded suspects surfaced on YouTube. In the 14-minute video, an officer shoots one unarmed suspect in the back. This video punctuated the contentious relationship between the unit and Indonesia’s Muslim organizations, which carry considerable weight in a country with the world’s largest Muslim population. After several prominent Muslim leaders called for the disbandment of Densus 88, the National Commission on Human Rights, Komnas HAM, launched an investigation, eventually confirming the authenticity of the video. The YouTube video only added to concerns over Densus 88’s extrajudicial killings, sparking debate in the Indonesian legislature over whether or not to end the unit’s mandate. Critics of Indonesia’s unofficial “take no prisoners” counterterrorism strategy point to the blowback associated with Densus 88 operations. Terrorists have now shifted their focus to domestic targets, especially the police, representing a tactical as well as retaliatory response. Last month, a man claiming to be high-priority terror fugitive Santoso declared war on Densus 88 via YouTube, issuing a call to arms for jihadists against the police force. Others accuse the Indonesian government of announcing terrorist arrests and confirmed kills in order to distract the general public from other hot-button political issues. Others warn of the greater implications associated with the government’s increased reliance on Densus 88, which undermines the rule of law and due process in the country. One can easily draw parallels between the debates going on in Jakarta and Washington over the trade-off between security and liberty. No one denies in either country the obligation to maintain a robust counterterrorism campaign, but liberal democratic ideals should not count among the casualties. As debates over surveillance, drone strikes, and torture rage in America, the U.S. government should look outward and demand the same scrutiny from its friends and allies, especially in cases where U.S. and foreign counterterrorism operations work in tandem. Efforts to improve Washington’s own blemished human rights record should coincide with cleaning up affiliated operations, such as the U.S.-funded and trained Densus 88. This demand is not unprecedented. In 2008, the U.S. government cut funding for Densus 88 operations in the Moluccas over human rights concerns. However, as the YouTube video demonstrates and Komnas HAM has reaffirmed, some abuses have continued—with American funding. As economic ties between the U.S. and Indonesia strengthen, Washington should take Jakarta to task over Densus 88’s spotty human rights record. Last week’s prisoner release could very well represent a watershed moment for Indonesia’s government. This trend of greater accountability and transparency in Densus 88 operations should continue at the urging of the United States. The lead-up to U.S. President Barack Obama’s upcoming October visit to Bali for this year’s APEC Summit offers the perfect opportunity to open a dialogue. The Obama Administration should urge the Indonesian government to establish a Densus 88 monitoring committee and bring officers responsible for abuses to justice. The war on terror at home and abroad does not exempt the international community from upholding liberal democratic ideals such as the rule of law and the promotion of human rights. On the contrary, counterterrorism efforts are strengthened by these principles. Tyler McBrien is a Center for Preventive Action Intern at the Council on Foreign Relations.